Just when you thought you were done hearing the name Bryce Harper. The person you wanted to be with that ultimately chose somebody else, is now talking about why they chose somebody else. 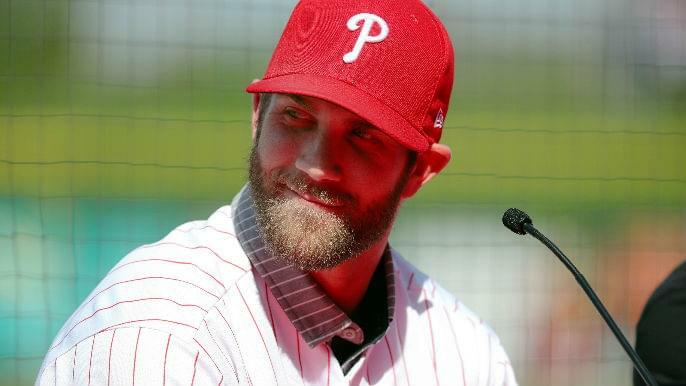 It may be rubbing salt in some of your wounds, but Harper talked to The Athletic’s Ken Rosenthal about why he chose the Phillies over the Giants. The Giants (to their credit), made a very serious play for Harper, offering him a massive 12-year, $310 million contract. The difference in money and state taxes did play a part in Harper’s decision, but ultimately, he just wanted to be a Phillie. Harper has made his love for the city of San Francisco well known on social media. Although the Giants are not on the same level as the Phillies talent-wise, the team and the city of San Francisco will always be an attractive place to play because of the area, the stadium, and the fans. Ultimately, Harper’s decision came down to just two teams. Ultimately, Harper and his wife were already set on Philly and made the decision before hearing back from the Giants one last time. With the Giants’ recent struggles in landing top-tier free-agents, it’s encouraging to know Harper strongly considered the Giants and the city of San Francisco. Unfortunately, the Giants continue to be the bridesmaid and not the bride, but at least we can finally have some closure.